Looking at the great time span between the transmission and the supposed time of origin of the 30 known Sumeric hymns, that are dedicated to the ruler Šulgi of the Third Dynasty of Ur (2092–2045 BC), the project investigates possible explanations for this phenomenon and thus also examines the authenticity of the hymns. This topic will be thematically accessed by asking for the intended forms of presence of the individual hymns, for the practices connected with the material artefacts, and for the possible medial changes while they were passed on from generation to generation. The over thirty hymns related to Šulgi, the second ruler of the Ur III dynasty (21th c. BCE) represent a significant corpus of Sumerian literary compositions. 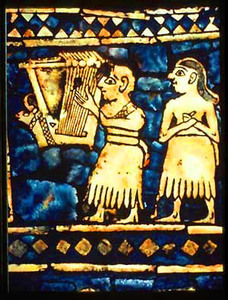 These compositions are preserved on manuscripts dating to the Old Babylonian period, particularly to the 18th century BCE. However, research related to these compositions from the 1950s on, beginning with Falkenstein, assigned these compositions to the Ur III period, to the reign of king Šulgi, almost without exception. The dating of the compositions was not justified but taken for granted. The discrepancy between the supposed origin of the compositions and the obvious later origin of the preserved manuscripts did not initiated much discussion. The apparent gap in the transmission history of the Ur III royal hymns remained therefore unexplained. In most cases beyond an Ur III also an Old Babylonian origin is possible. It is also conceivable though that not all the compositions are the products of the same era but a literary tradition expanded around Šulgi, once the ruling king, later an exemplary ruler of the past as well as a heroic figure. To decide on this issue, some questions related to the transmission history of the Šulgi hymns have to be clarified. First of all, it is far not obvious which sources the Old Babylonian tradition could have drawn on. On the one hand, not merely a written, but also an oral tradition of the royal hymns should be considered. This presumption is based on direct or indirect references – para- and metatexts – on the performance of the hymns, preserved in the hymns proper. Cultic singers are also well-attested in administrative texts of the Ur III period. The transmission of the liturgical hymns was most probably the responsibility of these professional singers and the performances were probably related to the cult of the ancestors. Later on, this oral tradition might run into the written tradition represented by the schools. Orality in case of literary compositions still played an important role in Old Babylonian schools: the transmission of the compositions was intended not only by copying but primarily by memorization and recitation. Therefore, these pieces of literature might have been handed on from generation to generation without being fixed as part of a written tradition. On the other hand, the original artifacts containing the Ur III manuscripts of the Šulgi hymns might have been stelae or royal statues and therefore, more durable as clay tablets are. It is possible that the Old Babylonian scribes used the presumed original monuments as a source when they were still available in their original contexts. However, when copying royal inscriptions from monuments, this fact is expressly stated on the copies. Therefore, when postulating a written tradition from the Ur III period on for these compositions, a continuous tradition on clay tablets is more likely. Clay tablets, however, were not only less durable but also periodically recycled or disposed. Consequently the manuscripts at our disposal only represent a snapshot and come from the end of the transmission history of these compositions, i.e. from the 18th century BCE. Potentially earlier manuscripts, though might be unearthed accidentally, come from a secondary context (e.g. fill of the floor or waste heaps) and therefore their dating remains problematic. Consequently, it is not clear what forms of presence should be assumed in case of Šulgi hymns for the pre-Old Babylonian period. Did this tradition ab initio materialize in form of clay tablets? Or, was it once represented by royal monuments? Should an oral transmission be postulated parallel to the written one or was it a phase prior to the occurrence of the written tradition? The present project aims to investigate these possibilities with a twofold methodology. On the one hand, a praxiologically oriented manuscript analysis of the hymnic corpus should be accomplished. The shift from the texts to the manuscripts in case of royal hymns is especially expedient as up till now research considered these compositions the products of the Ur III royal court and state cult without bringing much evidence. All arguments considered the content of the compositions and consequently the material aspects of the manuscripts, clearly in contrast with this thesis, remained almost unreflected. 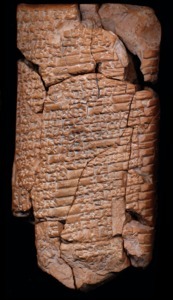 Therefore, the following analysis shifts the attention from the assumed Ur III court poets composing the praise poetry of king Šulgi to the Old Babylonian scribes transmitting the texts up to the 18th century BCE, the motivation for the retention and possible redaction of this tradition being not less interesting than its roots. The question has to be addressed which actors participated in the chain of transmission of these compositions as well as it has to be reconsidered in case of which compositions such a complex chain of tradition is tenable at all. The emergence of a secondary, Old Babylonian tradition picturing king Šulgi should not be excluded ab ovo but carefully assessed based on the available data. On the other hand, the methodology of the narratology will be applied to mine the information on the redaction history of the individual texts, with a special focus on transtextuality, mainly based on the theoretical framework of G. Genette. These textual hints should complement the manuscript analysis when looking for the affordances of the royal hymns as well as of their manuscripts. In course of this study it will be clear that the corpus, as frequently observed in course of the previous research, is multifaceted and can hardly be attributed to a uniform literary tradition originating from the Ur III period, redacted at once during the Old Babylonian period. A more complex transmission history of the corpus should be considered which involved tentatively several layers originating from different periods and contexts. The omnium gatherum labelled by modern research as "the corpus of Šulgi hymns" represents an Old Babylonian selection and compilation of compositions related to king Šulgi. This compilation known for us is mostly based on the material chosen by the Nippur schools meeting their own ideological as well as didactical needs. Other factors, e.g. historical interest or the conservation of prominent compositions which may served as prototypes, should also be considered. Nevertheless, an extensive collection and redactional activity regarding pre-Old Babylonian literature with the aim of preservation and tradition should not be accredited to the Old Babylonian scribal schools. According to our present understanding, this institution was represented by private businesses operated by priests and the curriculum was not uniform but varied according to time and space. Therefore, the reasons why Šulgi hymns might have been selected and included into the scribal curriculum hundreds of years posthumous to the ruler’s reign and why they became especially important for the Nippur literary tradition should also be assessed in course of this study.